Our suite of products is a producer’s dream. Craft the story of your game by choosing from live and historical data and statistics, social media feeds, video and telemetry, all integrated into compelling graphics for display on video boards, scoreboards, and screens of all kinds. SMT's OASIS platform is a real-time player safety and training solution that is the recruiting differentiator for college football programs. 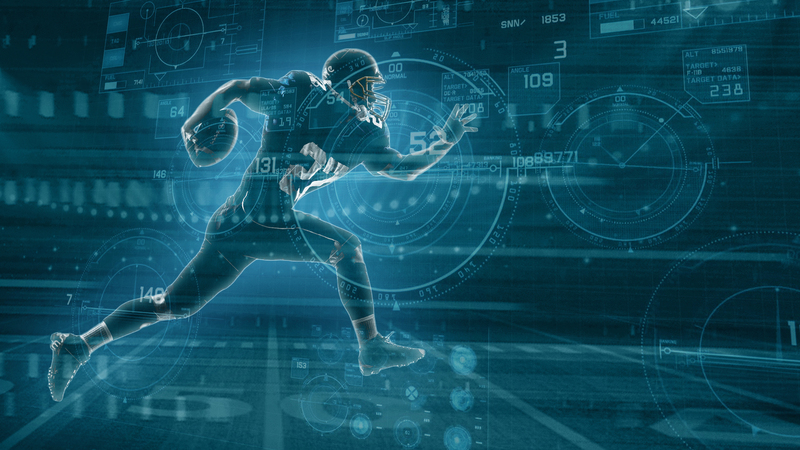 Through our proprietary, single-source database, coaches can monitor players' vital information live including biometric data, helmet impacts, instant video replay and player tracking throughout all football activities. SMT’s powerful, real-time virtual insertion platforms, whether sensor-based or image-based, are custom designed for sporting events, newscasts, award ceremonies and concerts. Broadcasters worldwide use SMT’s 2D and 3D virtual graphics to help viewers focus on key plays and statistics, to insert targeted virtual ads or to create dramatic and compelling visuals. SMT’s information systems are used during live broadcasts and events to keep staff, officials, players, media, broadcasters, and other operational personnel aware of pertinent information across all spectrums of the tournament. SMT information systems manage player databases, scoring formats, draw entry, game schedules and status, data distribution and administrative reports. This information can be fed through CCTV systems to flat screen displays throughout the tournament, or to video displays, touch screens and prompters. SMT’s intelligence engine, the Data Matrix Switchboard (DMX), is the central database and core technology behind SMT’s graphics and display products. The DMX is one of today’s most flexible, powerful and intuitive publishing solutions, synchronizing multiple real-time data sources with in-game and historical statistics and graphics to present real-time content to SMT’s tickers, video boards, graphics and virtual technology, as well as third-party CG devices. The DMX also serves as the on-site monitoring hub, collecting operational statistics for equipment and generating proactive alerts and alarms before service issues arise. SMT offers an unparalleled, intuitive workflow for seamless graphics integration, whether live or in post-production. For live operation, our system can display teams and player presentations, real-time results and scores, clocks and animated logos. With our Automated Graphics Protocol (AGP), combined with our authoring tools and intuitive GUIs, graphics are inserted at predetermined time codes for post-production. As the pioneer in developing the first real-time scoring and wireless data delivery systems and the first on-air clock-and-score graphic, SMT understands the intricacies of real-time scoring as well as the effective presentation of real-time data to viewers. SMT has developed the official timing and scoring systems for the NHL, X Games, CrossFit Games, Dew Tour, Open Championship, NBA, Wimbledon, and NASCAR. Clients have included ESPN, ABC, NBC, and other major networks. From NASCAR to the NFL, SMT’s tracking technology helps broadcasters visualize personnel changes, call attention to interesting matchups, and dissect and analyze plays in new ways. SMT’s tracking systems enable fans to track the action in real-time with pointers and graphics for events such as the Tour de France, the Triple Crown, the New York City Marathon and the Indianapolis 500. SMT’s comprehensive video board productions enhance the game-day experience by providing fans with a deeper understanding of trends along with an opportunity to interact in a collective way through social media. SMT’s graphics and animations create a more informed and loyal fan base by using real-time and historical data, trivia questions, broadcast feeds, sponsor messages and public service announcements. From scoreboards to information towers, our productions tell the unique story of each event. Let SMT change your game.